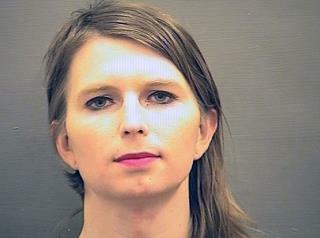 (Newser) – Supporters of Chelsea Manning have called for her release from prolonged solitary confinement at a Virginia jail, but an official disputes that she's being held in those conditions, the AP reports. Former Army intelligence analyst Manning was sent to jail March 8 for refusing to testify before a grand jury investigating WikiLeaks. She had previously served years in prison for leaking troves of classified US documents. The Chelsea Resists group says in a Saturday news release that Manning "has been kept in her cell for 22 hours a day. This treatment qualifies as Solitary Confinement." Bradley is just getting what he, the traitor deserves. Release him to the general population so he can be taken care of properly. I am sure he loves it in prison, assume the position. I hope the grand jury keeps investigating this for at least 20 years. Guess what? It's extremely common to be in your cell that long in county jails, especially when they are understaffed. It also might have something to do with the fact that she would be a target for the other inmates, and, given her past mental stability - they also need to keep an eye on her.